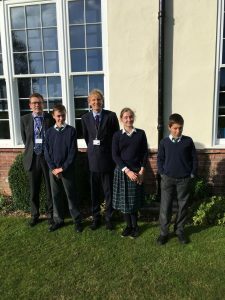 A remarkable initiative bore fruit in the autumn of 2017 when three Italian children, aged 11 to 13, spent six weeks at a private school in Hampshire as part of a pupil exchange. It came about through the desire of Bill Mills, chairman of Highfield School at Liphook, to “give something back” to the Italian people for the support given to his father, Peter, while on the run after escaping from Fontanellato PoW camp in 1943. After four months Peter and his companion Bob Williams were recaptured a few miles short of the Allied Lines and taken to Germany. Following the war, Peter became headmaster of Highfield, a co-educational school for children aged up to 13 which had been founded by his own father. About 100 of the pupils are boarders. The pupil exchange started to take shape after he came across the Monte San Martino Trust in February 2015 and floated the idea. The Trust only gets involved with students over the age of 18 but the proposal was so heart-warming that MSMT was keen to help out. John Simkins, the Trust Administrator, contacted former MSMT student Francesco Trivelloni, then the deputy mayor, later the mayor, of Fontanellato. He got in touch with teachers at the town’s Scuola Secondaria di Primo Grado. Rosaria Poi, who is on the school’s senior management team, and Giorgia Batteca, the English teacher, were enthusiastic, as were a number of parents – although Bill’s initial suggestion that the children spend a whole term at Highfield, in an unfamiliar boarding environment, met with some anxiety. Fontanellato’s townspeople have always been hospitable to families of former prisoners, just as their ancestors were to the original escapers, and there was an incident during the visit that startled Bill: at a restaurant he was introduced to Ubaldo Arduini, who insisted that his grandfather had driven Peter Mills to safety outside the town in his taxi. In March 2017, Rosaria and her husband, and two teachers came over to Highfield. The outcome of these preparations was that three Italian children – Giacomo Depetro, Aurora Toro and Zaccheo Arduini spent the first six weeks of the autumn term at Highfield. They settled in well. The second part of the exchange sees 12 Highfield Scholars, plus two staff, visit Fontanellato from May 14th-19th 2018. The Trust was delighted that Bill Mills and Phillip Evitt were able to attend the annual lunch in November 2017. Bill, as guest speaker, explained how the pupil exchange had come about and said that he hoped the arrangement would continue. There is one more strand to this cheerful story. It turned out that MSMT trustee, Miles Skinner, was himself a pupil at Highfield some 20 years ago, and has happy memories of it. 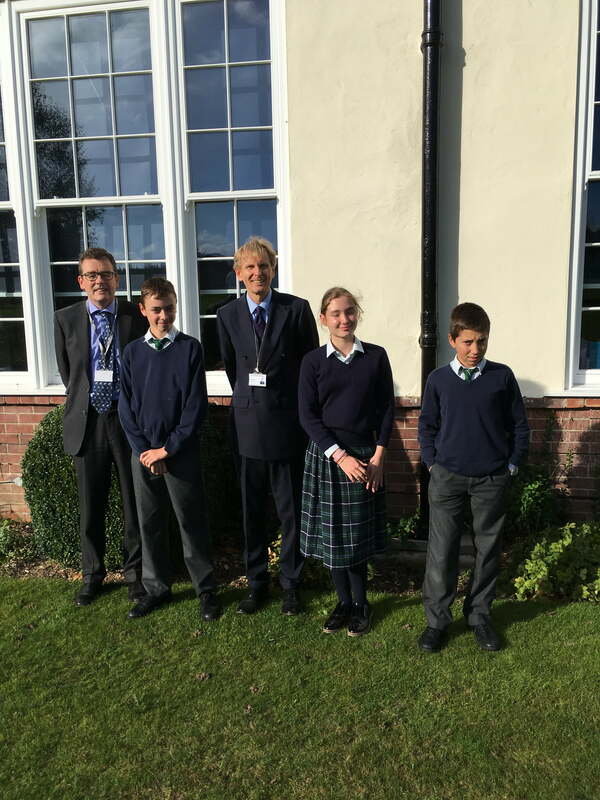 The school kindly invited Miles and John Simkins to Highfield to give a talk and meet the Italian children.